Ask anyone in the cigar industry what cigar manufacturer is ‘beyond his years’ with the keys to the future of tobacco and the same name keeps coming up. A.J. 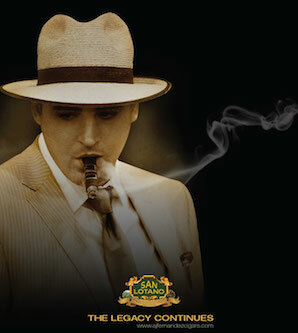 Fernandez, a third generation cigar maker, was born in 1979. There is a very short list of people in the industry with his talent and far less anywhere near his age. Tabacalera Fernandez started as a small factory in Estelí Nicaragua making cigars for other companies such as Rocky Patel. But the cigar world started to really take note of A.J. (Abdel J. Fernandez) when he created the Man O’War and Diesel for Cigars International. In 2010, Tabacalera Fernadez brought back the San Lotano brand, which was originally made by A.J.’s grandfather back in Cuba. 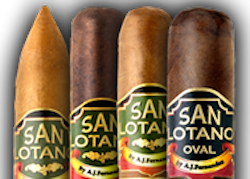 Needless to say, the resurgence of San Lotano (and the creation of the San Lotano Oval) was a big hit. A.J. has also released the Pinolero, Pinolero Madero, Limited Edition Mayimbe, and the much acclaimed New World. 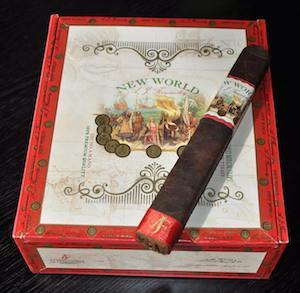 In fact the New World was named the #1 Cigar of 2014 by Cigar Journal and is arguably one of the best cigars on the market at that price point. A.J. Fernandez Cigars is available in 32 countries around the world and makes no secret that controlling the entire tobacco process is the key to his future. Over the past several years A.J. has built a new state of the art factory and continues to acquire more tobacco fields – often selling some tobacco crops to other big names in the industry. To view the factoring and fields view the new AJ Fernandez video here. One thing is for certain; the talent behind the company is far reaching in history and knowledge. It shows in the cigars…from start to finish.